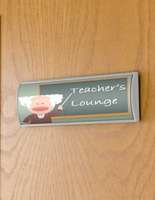 Office Door Signs are In Stock for Expedited Shipping! 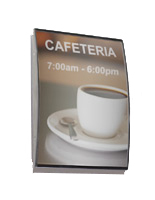 More Media Size & Graphic Panels Count Options Available! 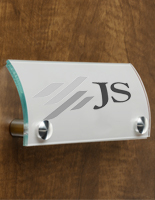 Office Door Signs are Ideal for Displaying Your Custom Signage! 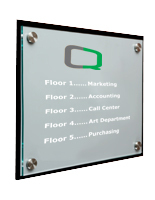 These signage displays, office door signs provide an attractive means of displaying directional signs to lead clients and customers through your establishment. 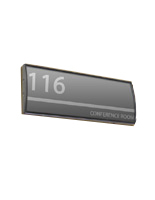 The room labeling systems are ideal for displaying name plates, company logos and other important signs in a professional manner. 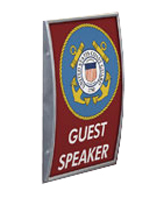 The signage systems, office door signs are also a great way to direct patrons to a specific room, event or meeting area. 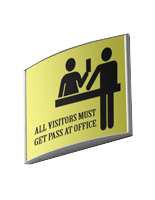 Guests and visitors unfamiliar to the area will easily find the office or area with ease. 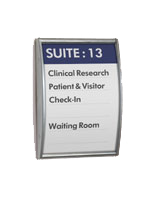 Why choose "WCSBK" series office door signs? 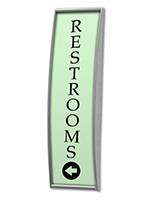 This series is built from a high quality, anodized aluminum extrusions for lasting durability. 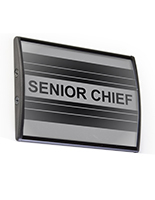 This ensures your office directory systems will withstand years of use. 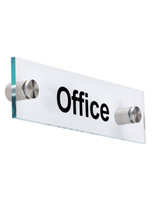 Though durably constructed, the office door signs are still sold at very affodable prices. 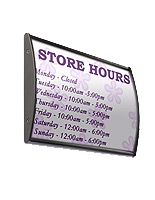 Signage can be quickly and easily changed, without having to remove the frame from the wall. 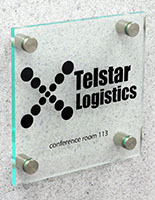 Most other frames and office wall signs need to be removed from the wall in order to change graphics. 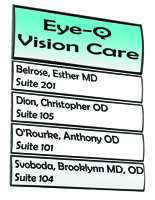 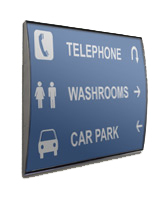 WCSBK office directory systems have a curved design that makes your signage "stand out". 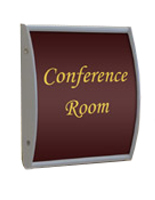 These office signs also include a double-sided adhesive backing for easy wall-mounting. 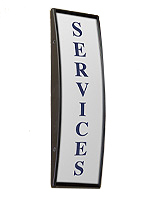 What makes the "WCSBK" series of office signage different from other wall signs? 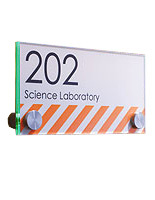 These office door signs come equipped with a anti-reflective lens to prevent glare from hindering the view of displayed signage. 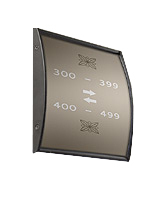 This series allows users to easily change and remove graphics by using the provided suction cup. 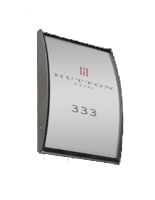 These door name plates are ready for use, right out of the box. 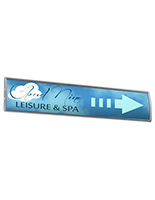 Simply peel off the protective film from the double-sided tape and your signage is ready for wall-mounting. 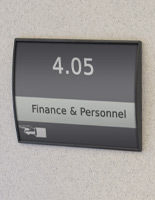 These office door signs can be used to display room numbers, outside of a conference room or classroom. 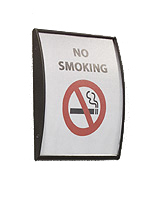 They can also be used to hang warning signs, like "No Smoking" or "In Case of Fire, Use Stairs". 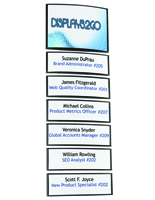 Department names and office directory systems can be displayed within these products as well, in order to lead employees and clients to the right area. 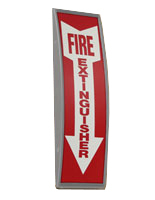 The signage displays are manufactured from superior quality materials, including plastic and aluminum to ensure years of use. 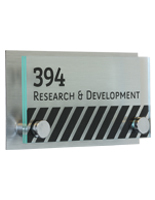 Office door signs, like name plates and custom sign displays, come in a variety of sizes and styles. 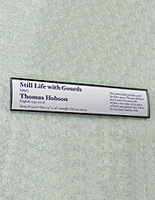 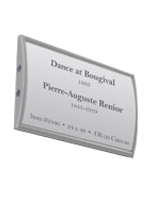 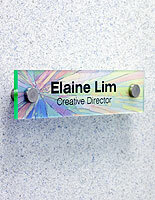 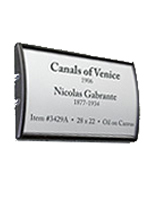 These name plates can be mounted to the wall or to a cubicle or an office door. 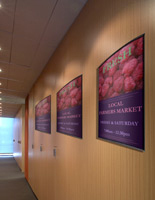 They can be used to create a professional and consistent look throughout a building. 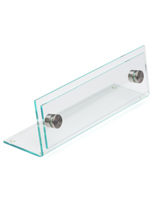 Some of these products have a contemporary, curved design, making them ideal for use in any environment. 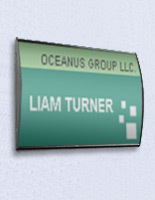 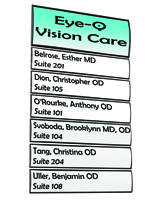 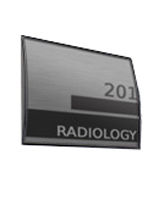 Similar name plates are often found used in hospitals, law firms, dental offices, conference rooms, government agencies and private businesses. 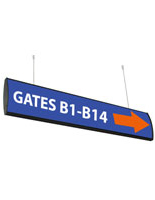 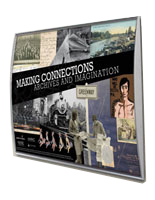 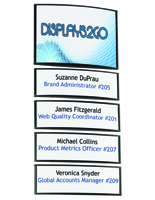 Displays2Go has a wide range of signage options available for purchase. 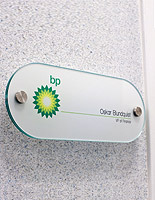 Affordable and professional name plates are supplied for use in any environment. 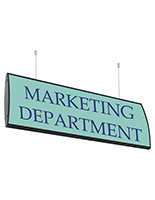 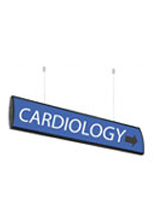 Find the perfect sign holder options for your store, office, school, conference area, classroom or other business in the main shopping page. 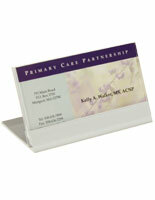 In addition to the name & label plates seen here, acrylic frames, table tents and angled picture frames are also available for purchase. 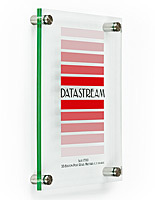 Most of our in-stock products ship same day when ordered before 3PM EST. 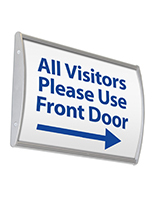 No other sign holder reseller can compete with this type of expedited service. 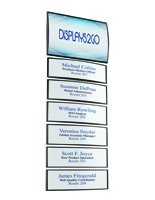 In addition to sign holders and name plates, there are also numerous other marketing displays to satisfy the display needs of any company. 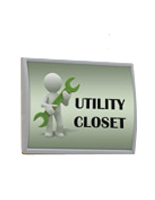 In business since 1974, we pride ourselves on excellent customer service, quality products, and expedited shipping. 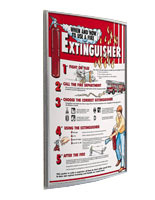 Our online catalog is home to over 7,000 unique products, many of which are in stock and ready to ship. 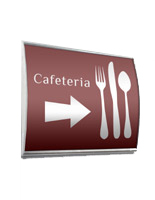 See our main shopping page to see all that we have to offer. 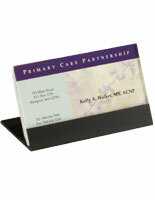 Buy online today to receive quick shipping!